The 17-member First Friday Foundation is now tasked with making the operation solvent and spurring engagement. Soon, you won’t have to “like” your friends’ bad news on Facebook. Plus, Amber Rose holds a wild Big Game party at Rain at the Palms. The chart-topping DJ returns this Super Bowl Weekend. The MGM restaurant features a limited-edition menu and a festive cocktail throughout the Year of the Monkey celebration. It’s been riding high for almost 16 years, since the resort opened, more than a lifetime in Vegas club years. The intimate Foundry promises to bring a different kind of energy to the nightlife landscape. Las Vegas is a cocktail capital, but it goes deeper than you think. Miguel won’t be confined to any musical genre. His stylish success makes his new performing residency at Light Nightclub one of the most interesting Vegas bookings of the new year. Where to get your grub and buzz on while watching the Big Game. It’s a sneakily brainy show. Also, Crafthaus taps six versions of its Comrade Russian Imperial Stout and Fareed Zakaria speaks at UNLV. Head out to Boulder Theatre and take in some sweet shorts. Think classic but updated progressive house that only flirts with the serotonin spikes of trance. DIIV has evolved into a group indebted to the shadowy side of ’80s college rock. The creative duo's latest doesn't live up to their other masterpieces. In attempting to please both sides, it dissatisfies all. Writer-director Andrew Haigh examines love and relationships with intense subtlety. 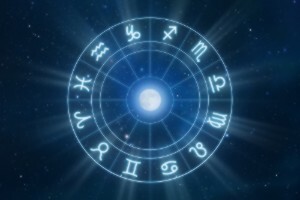 You may sometimes be drawn to people or places or ideas long before they can give you their gifts, Aquarius. If you need a little drama with your steamed sea bass and crispy beef, you’ll appreciate this experience. After eating at Chengdu, you might want to stroll over to the Golden Tiki and cool off with some Dole Whip.